Ohio TeleCom will Install, Service and Repair Nortel BCM ATA 2 Meridian Business Telephone Systems in Dayton, Columbus, Cincinnati Metro Areas. Allows you to disconnect one party in a three-way conference call. other telephones. When Tones is ON, a held call reminder tone is heard. telephones. When Tones is ON, a held call reminder tone is heard. Automatically dials the last external telephone number you dialed.
. Allows you to access your mailbox. Allows you to leave a message. Allows you to forward a call to Enterprise Edge Voice Messaging. Allows you to transfer a call to a mailbox. Allows you to interrupt a caller who is leaving a message in your mailbox. Allows an agent to login to or logout from a call center. the Enterprise Edge Voice Messaging Reference Guide. 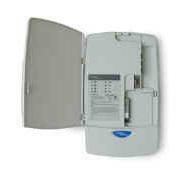 programmed to receive a page, as well as any other connected paging equipment. session in progress is automatically put on hold. Note: Priority Call must be enabled in Enterprise Edge System Administration. permits another telephone that shares your line to join in. ˚•fl° Allows you to override restrictions imposed on your telephone. alerted with one short ring from your telephone. To cancel ring again, press ˚£¤. 1. Press ˚¤. This automatically places your call on hold. 2. To return to the caller on hold, press ˚¤. 1. Lift the handset. The ring again number is automatically redialed. Allows you to leave a message on a co-worker’s telephone. To cancel send message, press ˚£⁄. assigned during Enterprise Edge System Administration. numbers. System speed dial codes are established by the System Administrator. Note: You cannot program personal speed dial numbers from your telephone. 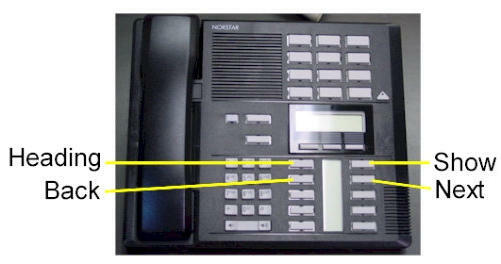 Call progress tones are audio signals heard through the handset or telephone ringer. Tones signal you about the progress of certain features. To cancel tones, press ˚£°‚·. communication device such as a FAX or modem. 2. Press the transfer destination number. 1. Press ˚•‡‚ (intercom dial tone is heard). 3. Announce the call to the receiving party (optional). 2. Make the second call. 1. Put the caller on hold and select your alternate line. Terminal Adapter 2 with data communication devices. Lift the handset and press ˚£°‚·. supports data transmission rates up to and including 28.8 kbit/s. channel and cannot be guaranteed. 1. Make sure the data parameters (parity, baud) are set correctly. change your prime line, see your System Administrator.